The Dining Experience at our Hotel, is a mouth watering synthesizes of Indian culinary expertise and modern dining standards. The place has given a new and unique twist to the dining experience. For food lovers it is the Mecca for good taste. While for the others it’s a place to give up their apprehensions and try out new cuisines. We provides our guests with absolutely superior quality food. 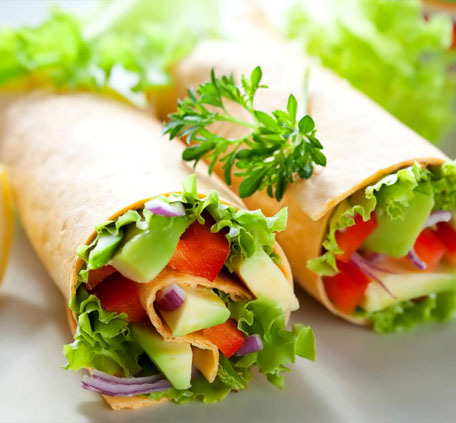 Our Restaurant specializes in preparing all sorts of delicious vegetarian dishes. In fact they are equally good and delectable. In fact there are different sets of cook to prepare vegetarian dishes and all of them are expert in their fields. We deal in various types of Continental dishes, Chinese dishes, and almost all types of Indian dishes. The food at our Our Restaurant has never failed to satisfy the palettes of the wide variety of our guests. True to its name, the food in Hotel leads you on a path to gastronomically satiation. Well planned seating areas help you relax and enjoy the flavours of our food. You will find a magnificent blend of elegant surroundings, exquisite cuisine, pleasing decor and satisfying service indulging all your senses. Our meals are balanced and consist of 10 items which include all six tastes: salty, sweet, sour, bitter, astringent and pungent. We do not handle meat, chicken, seafood or eggs in our kitchen. We offer a new menu everyday. Our Restaurant we believe food cooked and served with compassion adds a powerful value to the dining experience. That power may be invisible to the human eye but it can be felt by you. So, come experience Our Restaurant and discover for yourself.